OH SNAP! 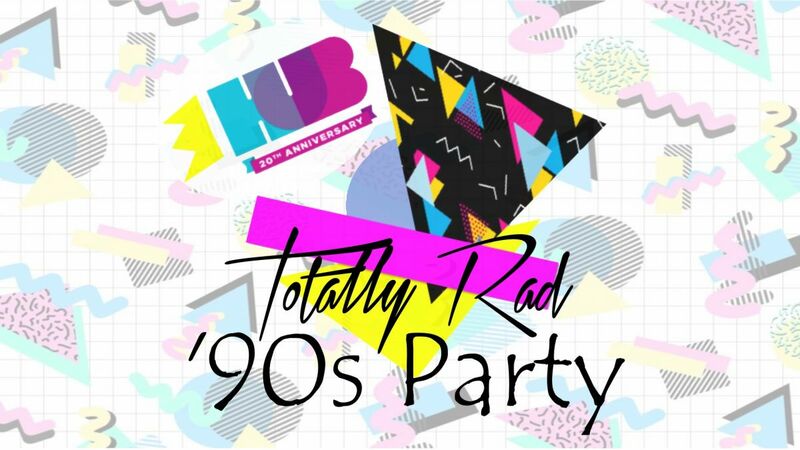 HUB Cycling is celebrating the end of an awesome 20th Anniversary year with a Totally Rad '90s Party. Come get jiggy with us and party like it's 1998. Get a blast from the past and a trip down memory lane. We want to throw down and celebrate with our homies from the past 20 years. Wiggle into your neon bike shorts, grab your scrunchy and slap bracelet and get your groove on to DJ Denise & Denzin 8 Productions. Costumes not required but highly encouraged. Enjoy a cold one provided by Central City Brewing and be entered to win a sinfully sweet door prize from Purdy's Chocolates. Free & secure bike parking will be provided by The Bicycle Valet. Thanks to our event sponsors including Richards Buell Sutton, The Job Creation Partnership Program of British Columbia, Central City Brewers + Distillers and Purdys Chocolatier.